A snowy owl blends in effortlessly with its winter background, with the exception of its marble-like eyes. 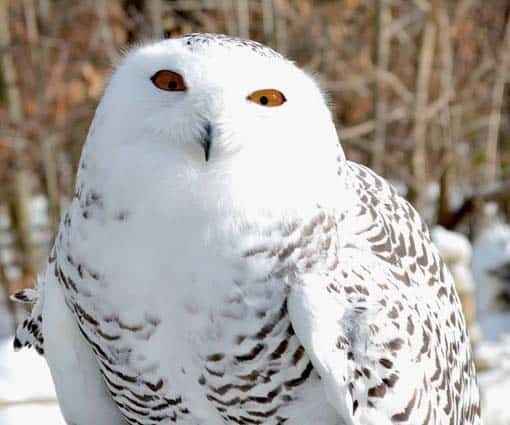 Saturday, Feb. 20 at 10 a.m. — QUECHEE — Join the Vermont Institute of Natural Science (VINS) for its annual Owl Festival on Saturday, Feb. 20, from 10 a.m. to 4 p.m. to celebrate all things owls. We will have live bird programs focusing on owls and their calls and adaptations, as well as an owl movie, crafts, science experiments and many other hands-on activities to help guests understand these mysterious birds. Kick off the day at 10:30 a.m. with an owl puppet show plus other activities for youth. At 11 a.m., meet three live owls in the “Give a Hoot” program. Have lunch in the warm classroom (popcorn provided) and watch an owl documentary from 12 to 1 p.m., followed by a live owl and hawk comparison from 1 to 1:30 p.m. In addition, from 1 to 3 p.m., we will have multiple stations throughout the campus focusing on owl adaptations such as vision, hearing, silent flight and more. Wrap up the afternoon listening to owl tales around a campfire, while enjoying hot cocoa and s’mores. Dress warmly, as activities will take place both indoors and outdoors. All Owl Festival activities are included with the price of admission to the VINS Nature Center. Admission to the VINS Nature Center is free for members; $13.50 for adults; $12.50 for seniors, 62 and over; $11.50 for youth, ages 4 to 17; and free for children, 3 and under. VINS is located at 6565 Woodstock Road in Quechee. For more information, visit VINS events online at www.vinsweb.org or call 802-359-5001, ext. 223. The VINS Nature Center is open to the public seven days a week from 10 a.m. to 4 p.m.